Have you always been well-liked? Do you have friends, a nice job, a cool haircut? Depending on your lifestyle or the profession you are in, you may very well already have an influence over many people around you and be unaware of it. Or maybe you are aware, but still are asking yourself how you can become an Influencer. First things first. Why would you consider becoming an Influencer? Straightforward answer: you get to call the shots! Being an Influencer brings lots of benefits. You can use your credibility and knowledge to build your brand, win trust, influence opinions, and more. The best part? 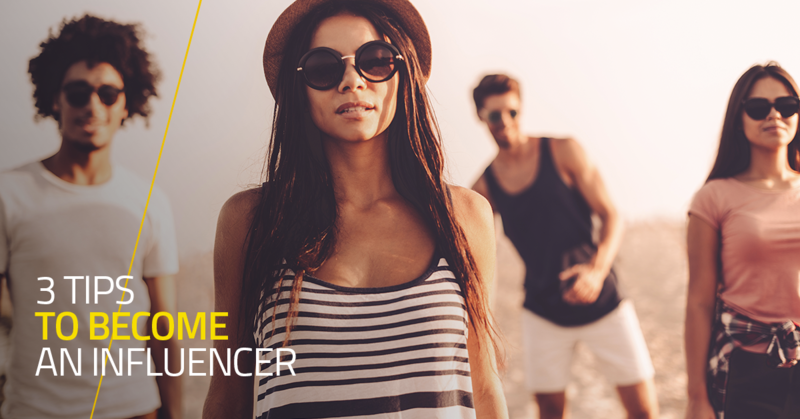 You don’t have to do things on a major scale to be categorised as an Influencer. In fact, you can hold sway over a lot of people without having a Beyoncé -level of popularity. All you need to have is authenticity, and your opinion will be useful to others online. From fashion, beauty, politics, to travel, a firsthand account is always of interest. If these findings are anything to go by, becoming an Influencer is your passport to being an influential opinion setter. I’ve found that most Influencers have a strategic plan that involves the following key steps. The first step in your journey is to pick a niche. In any industry, there will already be big names who’ve been building their credibility for years. So, rather than trying to go one up, narrow your focus down to a specific/targeted field. Take Georgina Horne, for instance. She’s a fashion Influencer on Instagram, specialising in one specific area: plus-size fashion. People associate her name with plus-size fashion, and her account is one of the best resources for keeping up-to-date with vintage and retro trends in this niche. Notice that she doesn’t talk about sports, cooking, or even general fashion. Her core focus is on plus-size fashion. That’s it. It’s because of her unique approach that her influence grew rapidly in just a few short years. When you navigate the online presence of someone like Gary Vaynerchuk, you’re impressed by the number of followers they have on different digital platforms, including Facebook, Twitter and Instagram. And that could cause you to pick every platform out there to build your presence on. However, if you take this approach straight off the bat, you’ll spread yourself too thin. Someone wanting to become an Influencer without emptying their wallet would have a higher chance of accomplishing their goals if they focused on one specific platform. 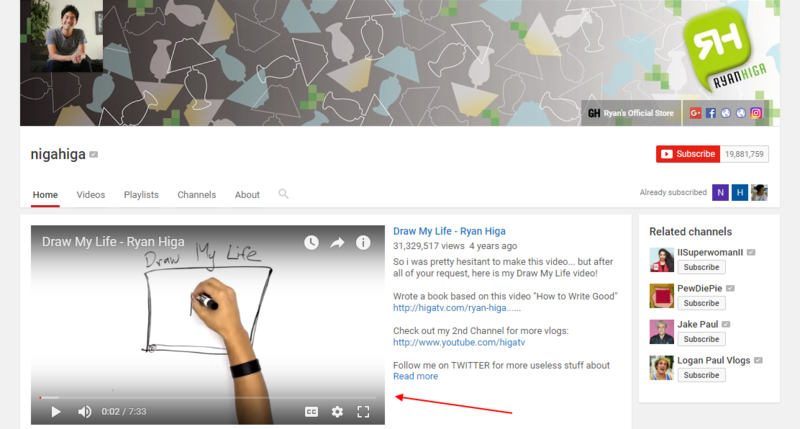 Ryan Higa is an American comedian who mastered the art of YouTube content. He focused on YouTube and nailed the platform with great content, which helped him amass over 19 million subscribers. I know what you’re probably thinking: he has a great following on other platforms too. Yes, he does, but that’s because of his current popularity, which he initially gained on a specific platform. The takeaway here is that when you gain enough influence on a single digital platform, your influence will start to amply itself across other digital platforms as well, without requiring a lot of effort on your end. The secret to gaining an audience and winning their trust is to create content that reflects some kind of relatable human experience, interaction, emotion or key knowledge. Your influence will rely on the quality of your content, and how closely it relates to your niche. Other than that, it has to be authentic. For example, when your content looks unscripted (even though you may be working with a brand), it gives people a sense of satisfaction that they’re reading or watching something that could happen in a normal scenario, and that there’s no bias. 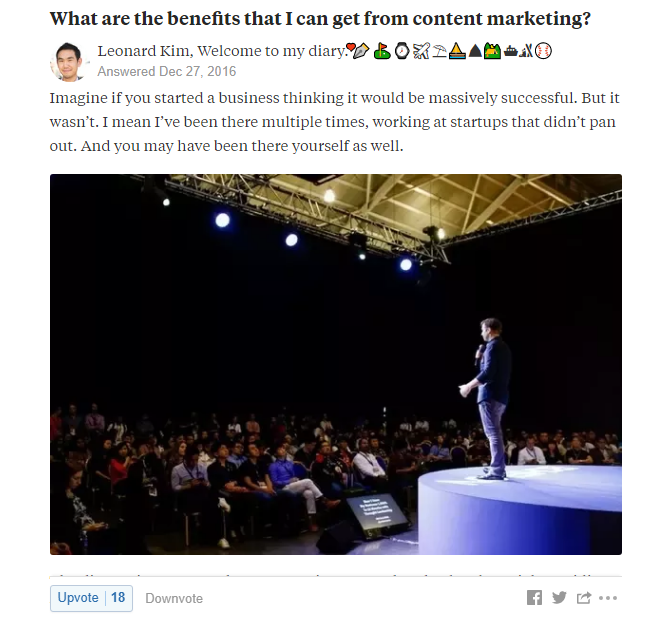 To give an example, let’s talk about Nicolas Cole and Leonard Kim, two individuals who happen to be Quora’s top contributors. They’ve had fantastic careers since appearing on the Q/A scene. While the industry experts often advise upcoming Influencers not to be too open on the web, both Cole and Kim did the opposite – and ended up being very influential. And if you ask them how to be an Influencer? They’ll talk about being honest, and integrating a personal story to form a more human connection with target audiences. If someone inspires part of your content, then don’t forget to cite them and, once published, tell them that you mentioned them. This is what commonly inspires others to share content, which helps increase its potential to go viral. 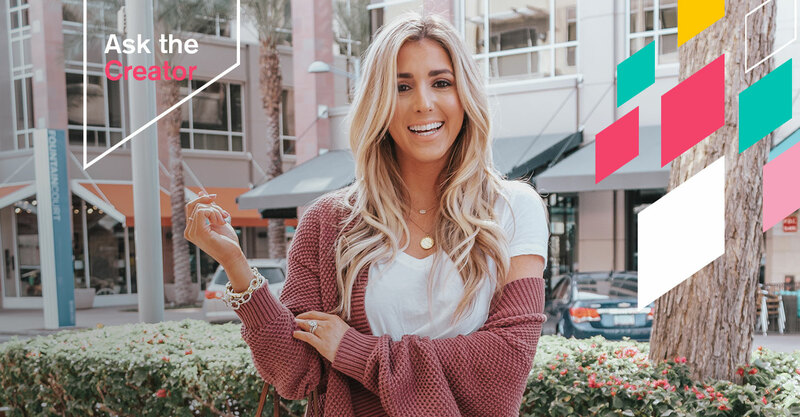 If you’re just starting to consider how to become an Influencer, it’s easy to get discouraged with only a small following to start. But that shouldn’t stop you from building relationships with people in your league, learning the ins and outs of a digital channel, and creating content that you can be proud of. Be patient and people will start noticing your efforts. Once you have a respectable presence, you can partner with brands, or have them reach out to you. 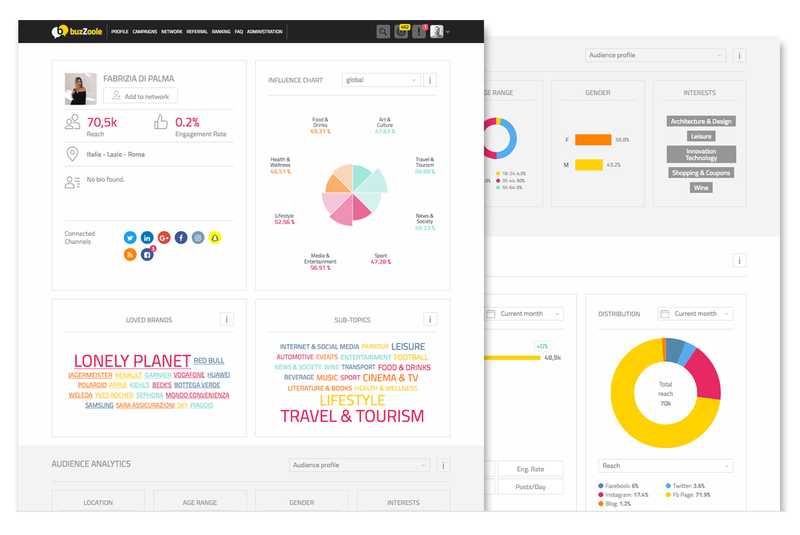 Platforms like Buzzoole connect Influencers with brands, allowing both parties to benefit from mutual cooperation. 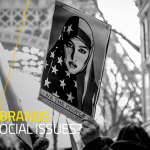 Next post How Do Brands Tackle Social Issues? 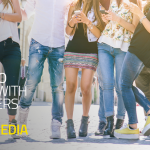 Thank you for sharing an ultimate guide for influencer marketing. Hi Sarbjit, thanks, we’re glad you appreciated our blog post. Keep following us!